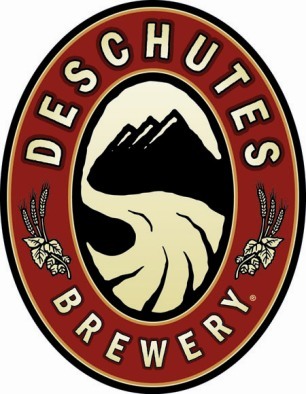 Deschutes Brewery descends on Houston for its Base Camp Week of specialty beer tastings, beer and food pairings - a week-long celebration of all things Deschutes at some of the city’s best places to have some fun. The brewed-once-a-decade Jubel 2010 (which was created by accident thanks to a bungled burglary attempt and sub-zero temperatures) will be tapped at various places and even The Abyss is scheduled to make an appearance. 5pm ~ 9pm - Taps House of Beers - Base Camp Kick Off with a tapping of Jubel 2010 and other Deschutes beers. 9pm ~ 11pm - Liberty Station - Reverse Happy Hour with Inversion IPA and commemorative pint glass. 5pm ~ 7pm - Plonk! Beer and Wine Bistro - Happy hour sampling and free pint glass with purchase. 7pm ~ 9pm - Plonk! Beer and Wine Bistro - Beer dinner featuring a three-course meal serving Mirror Pond Pale Ale paired with Cataplana mussels, Black Butte Porter complementing a course of expertly prepared hanger steak and The Abyss matched perfectly with a rich dessert. Tickets are $50 each and can be purchased at the bistro. 4pm ~ 6pm - Boneyard Drinkery - Pints for Pups with Deschutes beers on taps for a suggested donation per pint with all procedes going to Flip the Dog. 7pm ~ 9pm - Brian O'Neil's - Mirror Pond featured with a commemorative glass. 3pm ~ 7pm - Whole Foods, Sugar Land - Beer and Cheese Sampling. 4pm ~ 7pm - Spec's, Clear Lake - Beer and Cheese Sampling. 6pm ~ 8pm - Barcadia - Beer and sweet dessert pairing. 1pm ~ 3pm - Spec's, Downtown - Beer and cheese sampling, including The Abyss. 5pm ~ 10pm - Flying Saucer - Brewery night and Jubel 2010 tapping. I've always enjoyed their beers and the photo of me in the column to the right was actually taken a couple of years ago at the Deschutes brewpub in Portland, OR. They've scheduled a pretty full week of events and I'm looking forward to trying the Jubel 2010 on tap. I have a few bottles of it in my beer cellar and I'm often tempted to open one, but haven't been able to bring myself to do it quite yet.